We are pleased to offer weekly Pickleball sessions at Bexhill every Sunday afternoon, 1.35-3.55pm. 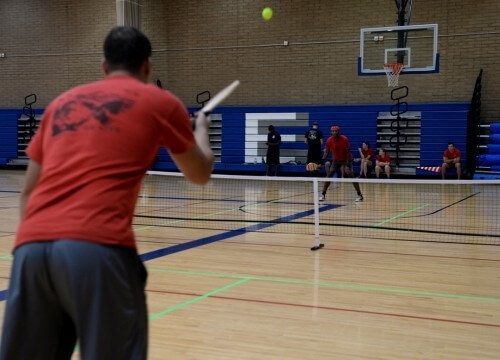 Pickleball uses solid paddles of wood or composite materials to hit a perforated polymer ball over a net combining elements of badminton, short tennis and table tennis. The sports shares similar features to other racquet sports using the dimensions and layout of a badminton court and a net and rules not too dissimilar to tennis. All equipment will be provided and it's suitable for all ages, so pop down, bring the kids and give it a try. Sessions cost just £3 per person. Try your first session free.